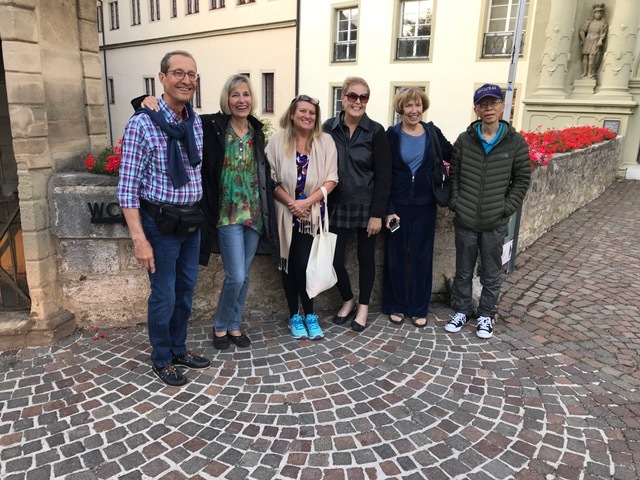 Nancy Ging, LCSW, has been happily living into her purpose of empowering people to create balance, and find harmony in relationship complexities within oneself and among family members. She loves to help people overcome illness and find well-being by aligning with the power and fun of the Creative Forces. Since 1981 she has been in private practice as a psychotherapist while giving workshops, giving keynotes around the country and authoring two books. Nancy continues to develop The Energy Paradigm in her work and teachings. She integrates a multitude of therapeutic modalities into her sessions with clients. Nancy is also available to teach and for speaking engagements. In addition, Nancy works as a supervisor to other therapists looking to work more holistically. Please connect to learn more. to a January 2017 radio interview. 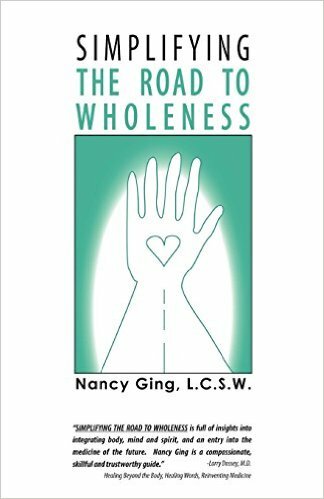 Nancy did at least 20 years of research and teaching before writing her first book, Simplifying The Road to Wholeness, a substantial book which is both a practical self-help book full of guidance for anyone seeking well-being AND ALSO a book full of useful suggestions and resources for counselors wanting to be more holistic in their work with their own clients. The book contains original ideas, concepts and approaches to psychotherapy as well as a synthesis of numerous modalities of counseling. In 2016, Nancy published a Knowing Wholeness, a book of poetry. Nancy is currently working on two new books. "Simplifying the Road to Wholeness is full of insights into integrating body, mind, and spirit, and an entry into the medicine of the future. Nancy Ging is a compassionate, skillful and trustworthy guide." - Larry Dossey, M.D. With warmth and often humor, Nancy works with clients struggling with all manner of stress and emotional angst, depression, anxiety, phobias and relationship complexities. She uses a very vast knowledge of treatment modalities from years of training which she synthesizes into the most useful combination of help for a particular client. Nancy is a Licensed Clinical Social Worker, clinical hypnotherapist and marriage and family counselor. She works primarily with individual adults, couples and adolescents. Nancy often uses guided imagery with many situations. She enjoys using medical hypnosis for clients about to undergo surgery as this is a very helpful aid in the surgical and healing process. Nancy calls herself a Holistic Psychotherapist as she includes what she calls The Energy Paradigm into her world view and her work with clients as a full-spectrum psychotherapist. While originally trained in conventional psychological practices and theories, she has expanded her work to include many body-centered therapies and several highly effective techniques such as EMDR which speed up the process of integration, healing and growth. She sometimes teaches tapping techniques such as EFT and weaves Mindfulness or Meditation into the therapeutic process. Generally, it is all about expanding consciousness, increasing self-love and self acceptance.
" I'm not a 'Shrink.' I'm an expander of consciousness." Nancy's formal academic training includes an B.A. in Psychology from Michigan State University, Graduate School for her M.S.W. at Simmons School of Social Work in Boston and George Williams College. She holds a certificate from the two year post-graduate training program in Marriage and Family therapy from The Family Institute at Northwestern University. Nancy did her early training in Clinical Hypnosis at the University of Chicago. She has had extensive additional training beyond these academic experiences. Nancy is currently taking new clients. She is a Medicare provider. Connect with Nancy to learn more and to schedule an appointment. "Some people are frightened of counseling (too bad! ), but Nancy Ging is so gifted and helped me so much, I'd like others to have the benefit of her counsel." ~ A.D.
"I wouldn't have gotten to the point I'm at without Nancy's guidance and counsel. I credit her for saving my life through my divorce and after. I wouldn't have physically died, but I certainly would have died spiritually. I never would have found my way to the single person I am now without her intervention, and I'm eternally grateful to her." ~A.D.N. 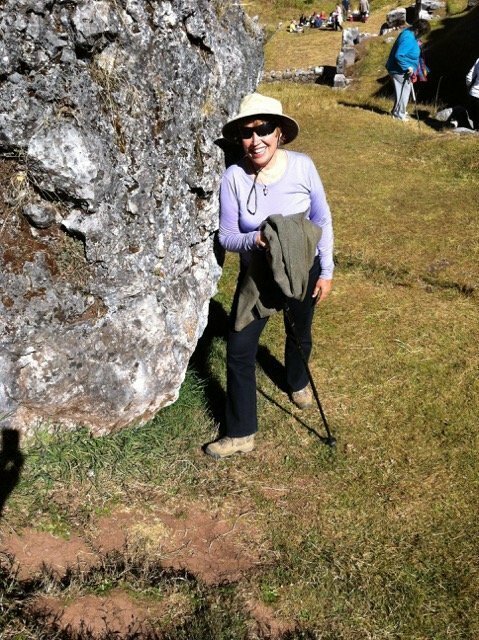 Nancy has expanded her consciousness with wonderful trips to Taize, France, retreats with John of God in Brazil, and grand adventures to Peru's Amazon jungle as well as Machu Picchu. She has studied with shamanic healers, Christian mystics and Buddhist teachers, all of whom have contributed to her healing abilities. Life is a Healing Adventure!